A few years ago, when my daughter was turning 3, she wanted a pink and green ladybug party. 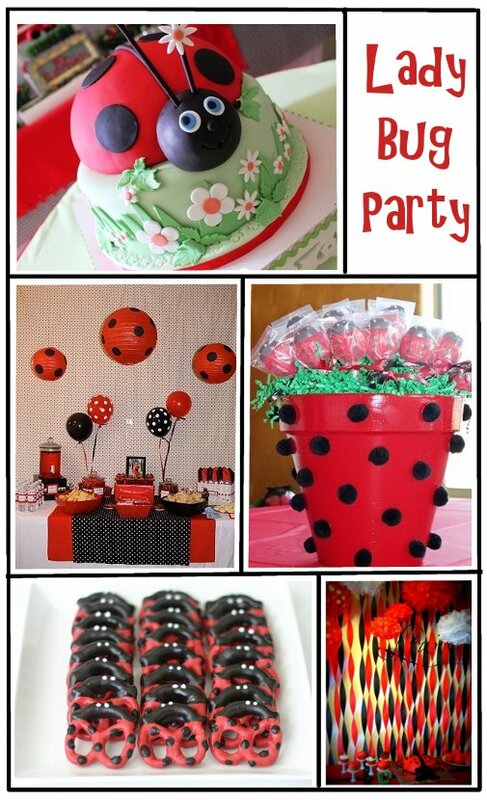 Evidently it was her favorite, because now she wants ANOTHER ladybug birthday party this year! Only this year, she wants red. So, looking for a little inspiration, I found some fun ideas out there. Here are some of my favorites. clockwise from top: cake from Savearecipe, pot from Polkadotbirthday, streamers from Somewhere in the Middle, pretzels from Bee in our Bonnet, and polka dot balloons/lanterns from articles web.